Liverpool is one of those places which is mocked by all the other cities in the United Kingdom. The inability of Liverpool Football Club to win the Premier League and the stereotypical “scouse” character have resulted in a seemingly never-ending stream of mockery for Liverpudlians. For this reason, it’s easy to overlook the contributions which Liverpool has made to Britain and indeed the rest of the world. 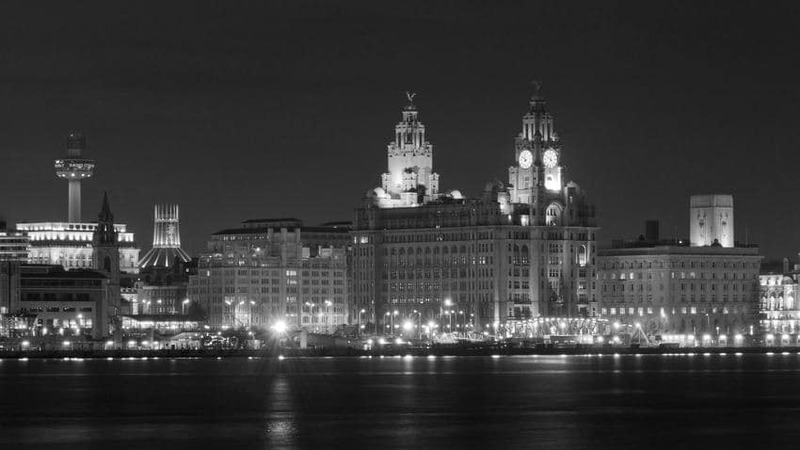 Liverpool is home to Walker Art Gallery, the Liverpool Metropolitan Museum, and the Cavern Club. The Cavern Club, of course, is the first venue in which The Beatles played regular gigs. Liverpool is also said to be home to some pretty terrifying ghosts. Because so much focus is put on the ghosts of London, many English cities with comparable paranormal activity tend to fly under the radar, and Liverpool is one of them. In this article, we’re going to give the ghosts of Liverpool the attention which they deserve (and have deserved for hundreds of years now). 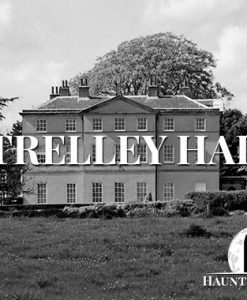 Read on for five of the most haunted places in Liverpool. I’m fairly certain it’s a scientific fact that all cemeteries are haunted. Some might dispute that, but it’s pretty hard for anybody who has ever visited St. James’ Cemetery to deny that the place has been the scene of some pretty unexplainable, and quite often terrifying, events. 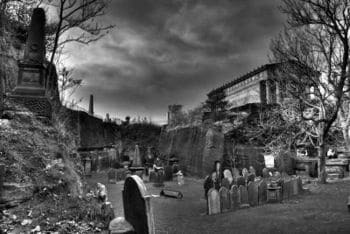 There are an estimated 58,000 bodies buried in St. James’ Cemetery, and over a dozen noted spirits, although many paranormal experts believe the amount to be much higher. Among the various ghosts who dwell within St. James’ Cemetery is the spirit of former member of parliament, William Huskisson. On the 15th of September 1830, Huskisson earned the dubious distinction of becoming the first person to be run over by George Stephenson’s locomotive engine Rocket. Huskisson’s mangled corpse was entombed at St. James’ Cemetery and sightings of his ghost began shortly after. William Huskisson’s spirit has been seen hobbling throughout the graveyard and loitering outside his grand mausoleum, still showing the scars of the tragedy which ended his life. 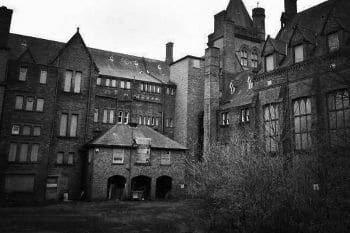 Newsham Park Hospital is today nothing more than one of many abandoned Victorian buildings throughout Liverpool, but it has a long and deeply disturbing history. Construction of the building was completed in 1874 and it was initially used as an orphanage before becoming a hospital. It spent its final years in activity as a mental asylum before closing its doors in 1997. Sightings of ghosts and unexplainable events at Newsham Park Hospital are many and varied, and can be traced back to the building’s time as a medical facility. A nurse at the hospital became one of the first people to complain of paranormal activity, claiming she had witnessed a number of strange events which could not be explained by anything in the known world. She was later found dead in a ward and eerie occurrences at the location increased tenfold. Patients at the hospital also complained of an otherworldly presence, and many reported seeing children standing in their rooms and playing in the halls. Many of these patients have since become a part of the paranormal activity themselves. Haunted Rooms holds a number of investigations at Newsham Park Hospital every year, so if you’re hoping to encounter a spirit in your lifetime, be sure to checkout our Events section. The 16th Century Speke Hall is one of the most unique buildings in Liverpool, and was originally home to one Edward Norris, who was the patriarch of a deeply religious Catholic family. The Tudor building is absolutely massive and ensured plenty of room for the Norris family. The size of the home remains a significant advantage to this day, as it is said to be haunted by a great deal of ghosts. Edward Norris, while extremely religious, had more than his fair share of problems with alcohol and gambling, and began racking up crippling debts shortly after the birth of his son. Mary, his wife, was so concerned by her husband’s inability to control himself that she threw her son from the window of the home’s Tapestry Room, where he landed in the waters of the lake below and drowned. Mary then flung herself from the window and met the same end of her son. Despite her attempts to leave Speke Hall forever, Mary’s ghost has been witnessed by visitors as she glides through the Tapestry Room, perhaps reliving the last moments of her pitiful life. Because the Norris family was so heavily involved with the Roman Catholic Church, priests were a frequent sight at the house. 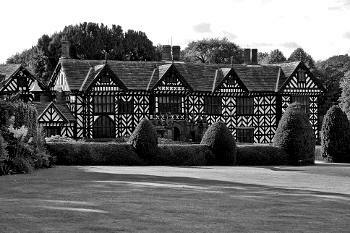 The ghost of a Catholic priest is still said to dwell within the walls of Speke Hall and appears as an almost solid being. Visitors to the home have also encountered the apparition of a Victorian gardener, still going about his work in the afterlife. Many of the spirits at Speke Hall don’t seem to be disturbed by the presence of the living, but at least one spirit is not shy about making its contempt for visitors known. Many visitors have reported experiencing an uneasy feeling in the Blue Room, where the shadowy figure of a man has been seen by more than a few. The spirit has made a name for itself as an unpleasant, menacing spirit, and has been heard telling guests to “get out”. 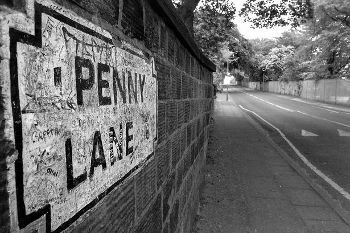 Penny Lane was immortalised in the Beatles song of the same name, and the street has since become a site of pilgrimage for fans of The Fab Four, although that can be said for the entirety of Liverpool. As delightful as Paul McCartney made Penny Lane sound in the song, the street has a dark history and number 44 Penny Lane is the site of one of the most disturbing hauntings not just in Liverpool, but in the entire United Kingdom. 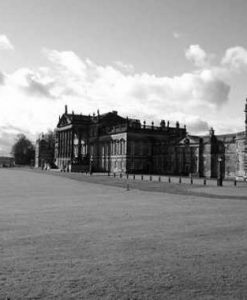 The site is said to be home to at least two spirits, one of which is clearly malevolent. Those familiar with the history of Penny Lane will tell you that Number 44 became home to a particularly aggressive poltergeist during the Victorian period, and the ghost does not seem to have left the premises. A printing shop was set up at the address during the 1970s, and the daily influx of new people did little to sooth the spirit’s anger. The premises was investigated during this period after neighbours complained of an unrelenting racket which began every night after the owners of the shop had gone home. Investigators failed to find a logical explanation for the activity, which only strengthened the rumours that the site was home to a violent spirit. Passersby have also claimed to have seen the spirit of a little girl with long blonde hair standing in the window of 44 Penny Lane, playing with her hair as she stares at the people on the street. Her identity is not known, which is probably one of many reasons why she wasn’t among the colourful characters The Beatles sang about. The Britannia Adelphi Hotel is one of the central most hotels in Liverpool and is in close proximity to some of the most popular tourist attractions in the city, meaning the hotel has not experienced a shortage of guests. Rooms are much in demand among paranormal buffs, as the building has long been rumoured to be haunted. The site on which the Britannia Adelphi Hotel is built has a long history, and first became the location of a hotel in 1826. The original hotel proved popular with travellers for much the same reasons it is popular today, and was demolished half a century after opening in order to make way for a larger hotel, which was eventually purchased by Midland Railway and replaced with the hotel which stands on the site today. 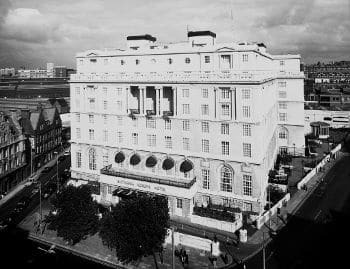 Though it is today a frequent source of ire for health inspectors and food critics, the Britannia Adelphi Hotel was, in its early years, considered to be one of the most glamorous hotels in the city, and welcomed major stars such as Frank Sinatra, Laurel and Hardy, and Bob Dylan. It is safe to assume none of these guests knew about the ghosts which are said to be on a prolonged stay at the hotel. One of the most frequently spotted spirits at the hotel is that of Raymond Brown, a pageboy who died after a becoming trapped in the baggage room lift at the age of fifteen. Although the accident occurred in 1961, Richard is still seen wandering throughout the hotel, clad in his uniform and offering a helping hand to guests struggling with their bags. Some who have encountered the pageboy swear he carried their bags all the way to their room before vanishing. Guests of the Britannia Adelphi Hotel also have the opportunity to become acquainted with George, a man who took his own life at the hotel in the 1930s. George, who appears in a tuxedo with a toothbrush moustache, is also known to Liverpool residents as he has a habit of shouting from a window to the people on the street below.